We offer cheap pool services in Huntington Beach because we know you're not looking for another expensive bill to add to your collection. Our array of services are as affordable and competitive as they come. 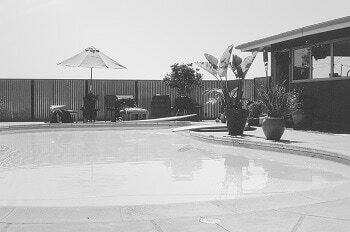 The Premier Pool Service Company in Huntington Beach! Pool Repairs, Pool Cleaning & Pool Maintenance At Low Prices. We offer various pool services that for both residential pools and commercial swimming pools. Our residential swimming pool service is on a call-to-schedule or periodical maintenance while our commercial pool cleaning is typically contracted in agreed-upon terms and conditions. We pride ourselves as being the best pool service company in Huntington Beach and all of Orange County. The people we employ all have a winning attitude as well as a driving passion for what we do and how we make our customers happy. In addition to the many pool services we offer, we also provide many up-to-date pool supplies for your own use and re-stock. Many of our clients look to us as their go-to pool supplies company in Huntington Beach for their residential and commercial pool facilities. Because of our extensive knowledge and current best-practices of care and maintenance, we are always able to provide grout, supplies, cleaning mechanisms and more. If you're looking for custom or special items, we have awesome relationships with some of the best pool manufacturers and suppliers in the area. In other words: we got you covered.